This year has certainly been very action-packed in Year 4. We have welcomed lots of lovely, new pupils to school, who have all settled in brilliantly. Siena, Ryan, Adam, Courtney, Hunni, Sam, and Mrs Grimble have been superb additions to the class, but we said goodbye to Miss Henning, Miss Kemp, Louie and Sofia. The year started with excitement when we were paid a visit by Kaspar, the Prince of Cats (also known as Miss Kemp’s rather wild cat, Zinnia) and we wrote some interesting stories imagining we were Titanic passengers. We began our weekly Forest School trips, which we all found very rewarding and a lot of fun. We made some impressive dens, cooked marshmallows on an open fire and even constructed our own swings in the trees. We’ve had several thrilling trips this year, kicking off with a journey up to London to see the wonderful Matilda in the West End. We all absolutely loved it and were singing the songs for weeks afterwards (teachers included!). This also provided us with lots of valuable learning experiences which culminated in dynamic reviews and super diary entries for Matilda. We met the terrifying Miss Trunchbull once again on Book Day, when Mrs Quirk scared us all in assembly with her uncanny performance. Street dance club remains as popular as ever, and we were incredibly fortunate when Mrs Moore organised for all of Key Stage 2 to watch the National Ballet perform La Bayadere, at the Royal Opera House. 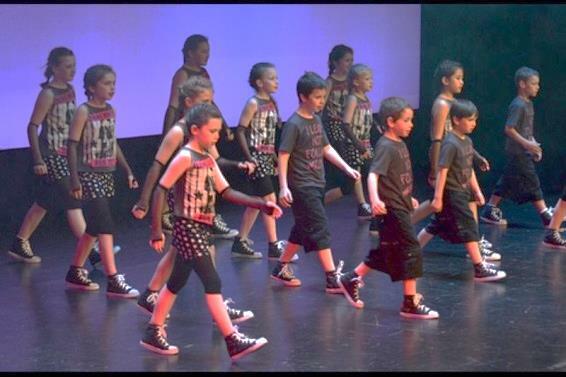 The street dancers have taken their craft to another level this year, when they were invited to perform in front of a thousand head teachers at a conference in Birmingham. They behaved impeccably, danced beautifully and looked wonderful – a real credit to St John’s. Continuing the musical theme, year 4 have been learning to play the tenor horn and no doubt you will have heard their many hours practising at home! When they play together as a class, they are beginning to make a wonderful sound. Our residential trip to the Isle of Wight was brilliant. We made experimented with coloured sand, visited a very interesting dinosaur museum, and hunted for fossils, proving that there are certainly some budding palaeontologists amongst us! Queen Victoria’s home, Osborne House, was impressive and we got to visit her very own private beach. Other activities that we’ve enjoyed this year (which the children have chosen themselves) include Science Day, designing and creating hats for the Alice production, Eleanor Prescott’s talk and biography writing, making rubbish monsters and our recent experiments into dental hygiene. It has been an exciting and eventful year with much learning and great fun, enabling the children to take their experiences and memories forward with them into year 5.